The deal offered "reassurance" for employees, pension holders, suppliers and lenders, it said. The financial deal leaves the door open for Mike Ashley's Sports Direct, which has been vying to seize control of Debenhams, to make a bid. "We are pleased to have agreed this comprehensive funding package which secures the future of the Debenhams business," said Debenhams chairman Terry Duddy. One is that Sports Direct, or another major shareholder with more than a quarter of the company's shares, makes a firm offer for the retailer, including refinancing Debenhams debt, the department store said. If neither of these happen, Debenhams said the remaining funds would be made available only when the company's lenders take over the business, but added this "would very likely result in no equity value for the company's current shareholders". Debenhams said none of the proposals "have provided or been compatible with a comprehensive solution". A spokesman for the trustees of the Debenhams Pension Schemes said: "We hope that the agreement will form the basis of a sustainable solution for the trading business that ensures that it will continue to support the pension schemes on a long-term basis." 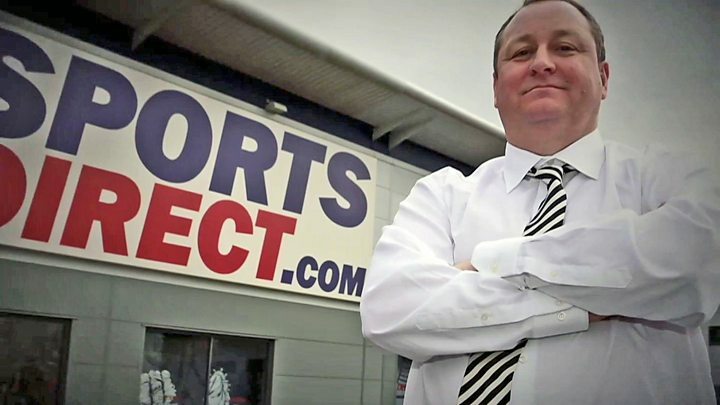 Laith Khalaf, a senior analyst at Hargreaves Lansdown, said that Mike Ashley was now "between a rock and hard place". "He faces either seeing his stake in Debenhams disappear, or having to stump up cash to keep shares in the company alive. "If Sports Direct doesn't want to pour good money after bad, the equity in Debenhams will almost certainly be wiped out, and the lenders will take control of the company. "This has been a really desperate period for Debenhams, and it now looks like the company is on the brink of seeing its shares extinguished, unless there's one last twist in the tale, courtesy of Mike Ashley."